Many studies in the past two decades focused on the problem of efficient resource management and job scheduling in large computational systems such as HPC clusters and Grids. 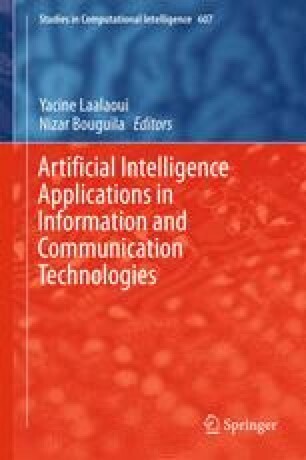 For this purpose, the application of Artificial Intelligence-based methods such as metaheuristics has been proposed in many works. This chapter provides an overview of such works that involve metaheuristics and discusses why mainstream resource management and scheduling systems are instead using only a limited set of rather simple scheduling policies. We identify several reasons that are causing this situation, e.g., a common use of overly simplified problem definitions with rather naive job and machine models or an application of unrealistic optimization criteria. In order to solve aforementioned issues, this chapter proposes new complex and well designed approaches that involve the use of metaheuristic which periodically optimizes job scheduling plan using several real life based optimization criteria. Importantly, approaches described in this chapter are successfully used in practice, i.e., within a production job scheduler which manages the computing infrastructure of the Czech Centre for Education, Research and Innovation in ICT (CERIT Scientific Cloud). We highly appreciate the support of the Grant Agency of the Czech Republic under the grant No. P202/12/0306. The access to the MetaCentrum computing facilities and workloads provided under the program “Projects of Large Infrastructure for Research, Development, and Innovations” LM2010005 funded by the Ministry of Education, Youth, and Sports of the Czech Republic is highly appreciated.